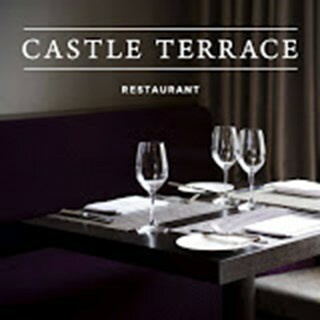 Castle Terrace Restaurant opened its doors on 14th July 2010 to introduce a new dining experience to the city of Edinburgh. 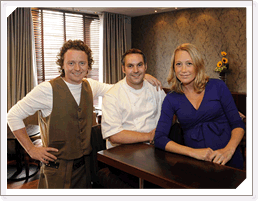 Combining the culinary expertise and flair of the team behind award-winning Michelin star restaurant The Kitchin, Castle Terrace Restaurant is led by Edinburgh-born Dominic Jack. Nestled underneath Edinburgh Castle, the stylish restaurant, awarded a Michelin Star in October 2011, offers a truly unique fine dining experience with a menu created from Chef Patron Dominic Jack’s modern and innovative cooking skills. Castle Terrace presents modern British cuisine influenced by learned French cooking techniques and an appreciation of the best ingredients available from Scotland’s outstanding natural larder. The well-balanced and exciting menus reflect Dominic’s many years of training in some of Europe’s top Michelin star kitchens - such as l’Arpège, restaurant Les Elysées and Taillevent in Paris, where he spent many years working as sous chef for Michelin 3-star chef Alain Solivérès. 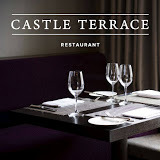 Castle Terrace is a true representation of the finest and freshest seasonal Scottish ingredients and offers elegant and wonderfully balanced dishes, all prepared with a delicate flair and passion. We had the taster menu and wine which was amazing. The service was excellent and we particularly liked having the wines described to us. We were there from 7pm till 11pm and appreciated not being rushed. The staff were really welcoming, the food surprising and tasty. I will definitely go back again, and recommend this place. Absolutely beautiful food, impossible to find any fault with any element of the meal, the staff or the restaurant. Went for our third anniversary and couldn't have been happier with the experience. A meal i will talk about for a long time and dinning experience made one to remember by exquisite standards of service. Food was excellent and enhanced by the specially selected wines. Service was first class from beginning to end. Will definitely be recommending you. Thank you for a wonderful evening. Chose the accompanying wine package this time and I would recommend this option, it gave a whole new dimension to the food. Excellent food and service. Food always beautiful. Staff friendly and knowledgeable. Fine dining but relaxed and friendly, never stuffy. Food was superb. Great value lunch menu. Thank you for a wonderful meal on Tuesday. We were blown away by the quality of the food and service for such a great price. £26.50 for the 3-course lunch menu is great value and we will definetely be recommending it to friends and family...and coming back soon! Thanks again.